Dubai: Budget carrier flydubai reported on Wednesday Dh37.3 million in profit for 2017, marking a nearly 18 per cent increase over the Dh31.6 million recorded in 2016. Revenues for the year also rose, reaching Dh5.5 billion, up 9 per cent over the Dh5 billion in 2016 as passenger numbers grew by 5.5 per cent. The airline carried 10.9 million passengers in 2017, it said in a statement. Flydubai said it was “cautiously optimistic” about 2018 as the operational climate remains challenging, pointing that its partnership with Emirates will create additional opportunities. “Despite the socio-economic environment we have seen across our network, we have record numbers of passengers travelling with us as well as sustained growth in our revenue,” said Ghaith Al Ghaith, chief executive officer of flydubai. He added that the introduction of new and more fuel-efficient aircraft will be positive, expecting to see greater benefit as Boeing 737 Max 8 aircraft join the fleet. From a financial side, fuel costs comprised 25 per cent of flydubai’s total operating costs, the same as in 2016. Ancillary revenue, which comes from baggage, cargo, and inflight sales, contributed 11.9 per cent of total revenues compared to 13.8 per cent a year earlier. John Strickland, director JLS Consulting, said the carrier faced a number of challenges during 2017 including the need to suspend services to some destinations in the region. Fuel prices also rose during the year. “Against this background, it is encouraging that it (flydubai) was able to grow traffic and revenues and maintain profitability. There will be further growth in 2018, which could also put pressure on margins, but the outlook is encouraging and the airline is also seeing positive traffic results from its growing codeshare traffic with Emirates,” he told Gulf News via email. Operationally, eight new aircraft joined the carrier’s fleet in 2017 including two Next Generation Boeing 737-800 and six Boeing 737 MAX 8 aircraft. 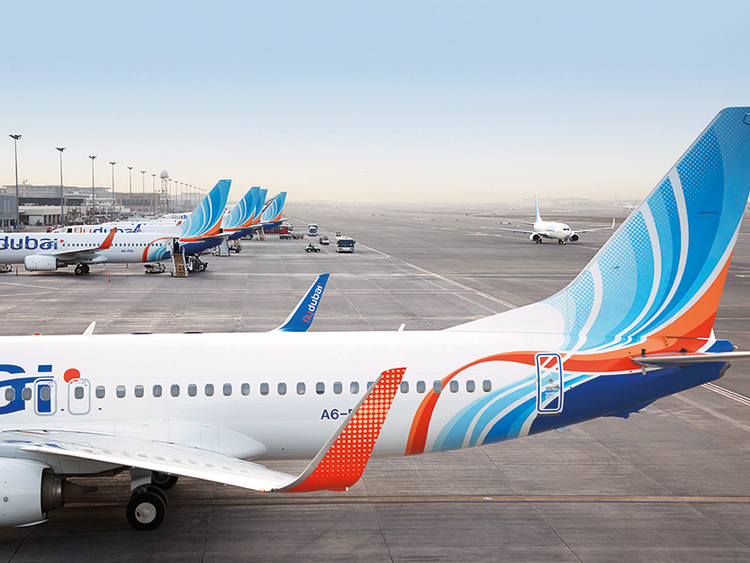 Flydubai currently has up to 295 aircraft on order, the airline said in its statement. Of those, 225 aircraft were ordered during the Dubai Air Show in November 2017. The $27-billion-order was for Boeing 737 MAXs and included orders for 175 aircraft and options for another 50 aircraft. The deal will more than triple the airline’s current fleet of just over 60 aircraft. In 2018, flydubai will take delivery of seven aircraft, and has already announced it will launch 10 routes that will start operations during the first six months of 2018. Shaikh Ahmad Bin Saeed Al Maktoum, chairman of flydubai, chairman and chief executive officer of Emirates Airline and Group, and president of Dubai Civil Aviation, said that the partnership between the Emirates and flydubai will create new passenger flows going forward.